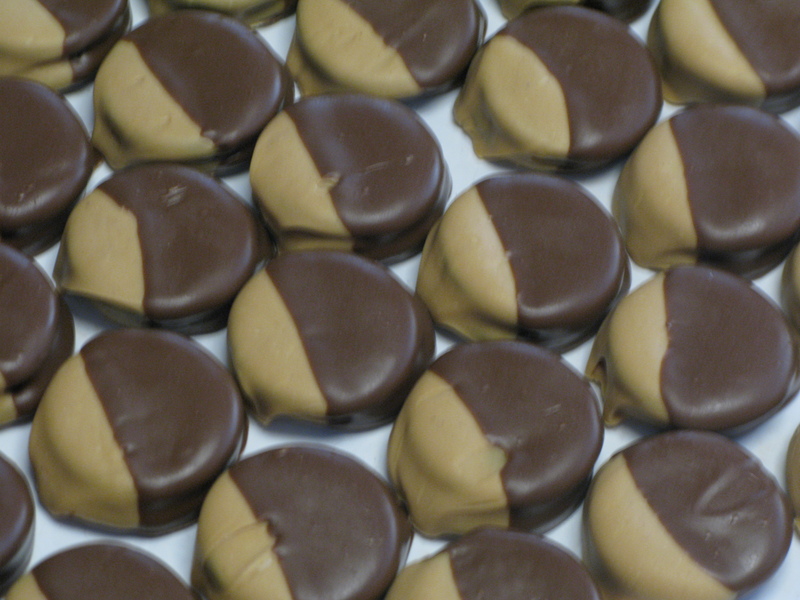 Chocolate, peanut butter and oreos…Sign me up!! What a great way to add a little more sugar and sweetness to Oreos. If that were actually possible. Here are the participants. 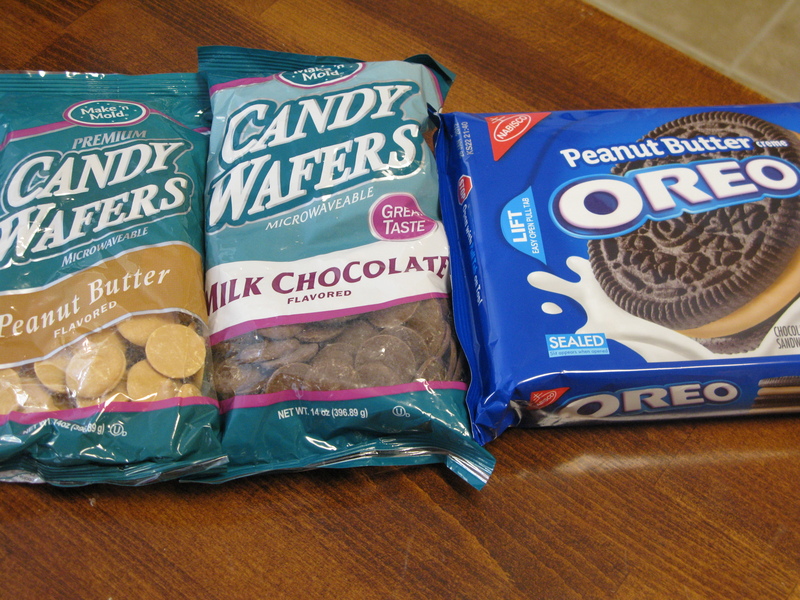 Peanut butter melting wafers, milk chocolate melting wafers, and peanut butter Oreos. I’ve never tried the peanut butter oreos, so I picked them up at the store and decided to give them a shot. First, melt the peanut butter wafers in 30 second intervals in the microwave, stirring in between to make sure the wafers don’t scald. The peanut butter wafers are thicker than the milk chocolate. Dip each Oreo halfway in, and set on wax paper to harden. 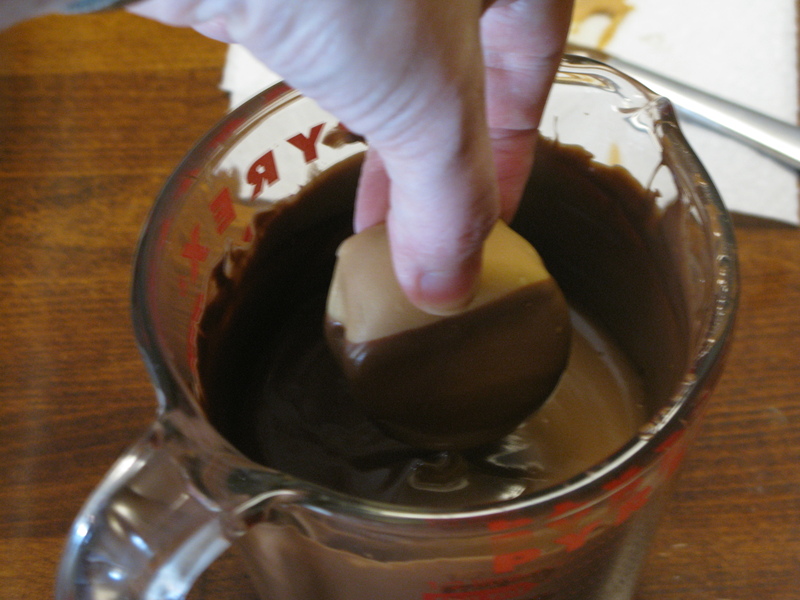 Next, melt the milk chocolate wafers. 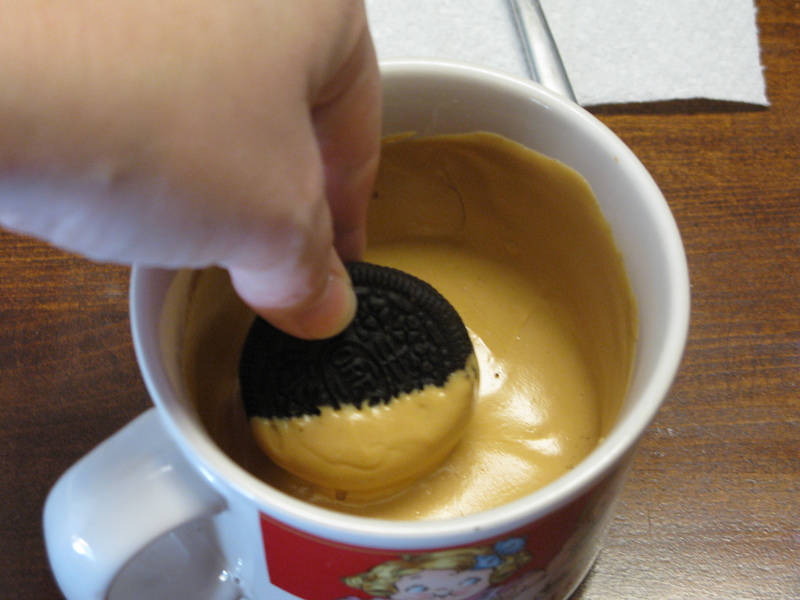 Try to let it sit for a few minutes so it’s not too hot when you dip the Oreos back in, because it could melt the peanut butter already on them. With these, I covered them about 3/4 of the way with the milk chocolate, to make sure there weren’t any open spaces on the cookie. All done! Make sure to let the chocolate harden for a while before diving into these guys…unless of course you want melted chocolate all over your hands. Hmm, maybe that’s not so bad after all. Hey, who took a bite? Okay, it was me. 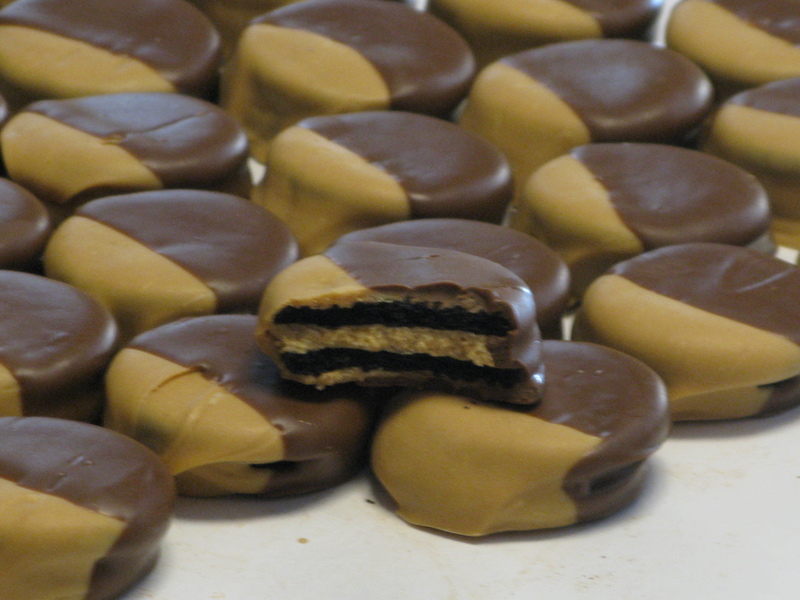 One of the many things you can do with these is pick out different chocolates to use, different Oreos, different cookies. It’s great how easy these are to make, and I look forward to making something like this with my daughter when she gets older. Great little chocolate activity for kids!